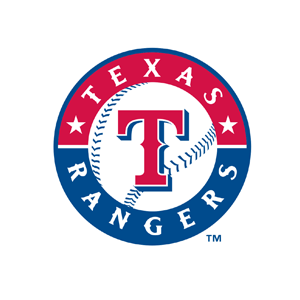 The Texas Rangers promote responsible drinking and positive fan behavior at Globe Life Park in Arlington. The Rangers Fan Code of Conduct and the details of the Rangers alcohol management plan that appear below ensure that fans have a safe and fun experience. We encourage everyone to cheer for his or her favorite team and players, but do so in a manner as to not distract from another fan’s enjoyment of the game. Consume alcohol responsibly: any intoxicated person or person under the age of 21 years old in possession of alcoholic beverages regardless of how they obtained the beverages are subject to ejection without refund and arrested by the Arlington Police Department. Any person entering onto the playing field may be immediately ejected from the ballpark without refund, and arrested by the Arlington Police Department..
Any person throwing any item, or attempting to distract a player with a laser pointer, light or any other item may be immediately ejected from the ballpark without refund, and subject to arrest by the Arlington Police Department. Any guest encountering difficulties with any other guest is encouraged to notify any representative of Globe Life Park. Guest Assist allows text message communication between fans and facility operations. If a ballpark guest is in need of assistance, they may use their mobile phone to text REPORT to 69050. The request is received by the Command Center, and Rangers personnel are able to respond immediately to diagnose the problem and dispatch, security, or medical staff to the guest’s location, as needed. The system is NOT for ordering food and beverages. Walk-through or hand-held metal detectors are located at the entry points to Globe Life Park. Belts and shoes do not need to be removed during the scanning process. For the safety of all fans, anyone entering with purses or bags will be subject to a mandatory search. No weapons including but not limited to firearms and knives with blades over 5 ½ inches, laser pointers, metal cans, glass containers, or alcoholic beverages may be carried into the ballpark. In addition, no hard coolers, or oversized bags will be admitted. Fans may only bring in soft-sided, collapsible coolers without plastic inserts (liners must be removable). All bags and purses must be 16x16x8 or smaller and are subject to search by ballpark staff. Banners may be hung in the ballpark as long as they do not interfere with the game in progress or obstruct the view of others. Banners may not contain political or commercial messages and may not be offensive to any other guest. Management reserves the right to remove any banners at its sole discretion. Smoking, Smoking Devices, or E-Cigarettes are not permitted in the seating bowl, the Lexus Club Level, suite level, or on the Main Concourse behind Section 44 past the Visitors Bullpen. But guests may smoke at designated areas near the outer perimeter of the main concourse and the upper concourse. Additional smoking areas are located on the first and third base ramps, below the club concourse level. Any person using obscene, profane, or offensive language may be ejected without refund. Fans will refrain from displays of affection not appropriate in a family setting. Any person wearing clothing with language, graphics, or revealing parts of their body that may be offensive to another guest may be denied entry into the ballpark, or ejected from the ballpark without refund. Persons entering the ballpark without a ticket or occupying a seat for which they do not hold a ticket may be ejected without refund. Fans 21 years or older, with a valid driver’s license, may sign a pledge card agreeing not to drink alcoholic beverages during the game and accepting responsibility for driving the other members of their groups home safely. Pledge cards are available at Guest Relations. Guests completing these cards are entered into a drawing for free Texas Rangers merchandise.